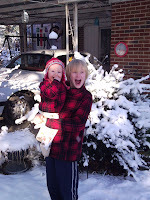 I am the mother of two beautiful boys born 10 years apart--one very planned, the other very unplanned! I am also a wife of a hard working diesel machanic. I truly love my family and the beautiful community in live. My husband and I are the fifth generations of our families living in the historic town of Toccoa. I grew up in a very frugal family. I love sharing the frugal things that we do as a family with others and learning new tricks from other bloggers and friends. My parents ran a commerical greenhouse when I was growing up and I ran them before it became too hard financially to stay in business. I majored in Horticulture in college and then started my teaching career as a Horticulture teacher. I truly enjoy plants and the outdoors. I am called on quite frequently to give advise on plants and gardening in my home community. So if you have any gardening questions, fill free to send them my way! We travel as a family to at least three or more tractor shows a year. We usually take our Farmall Cub to most of the shows we go to but we also own a Farmall Super A, Farmall H, International Cub, and our two newly aquired Cub Cadets! We are a RED tractor family--green is NOT allowed! This blog is to document my family, our frugal experiences and our great tractor adventures! I hope you will visit my blog often and comment as often as you can! (I LOVE comments!!) Follow us on Facebook, Twitter, Google Connect, or become an Email Subscriber.